I completed high school in 2011 and went to CEGEP until 2016, but didn’t complete it. I’ve had several small jobs but my goal was to get a job as an librarian’s assistant in a local Montreal library. I signed up to Action Main-d’œuvre, an organisation that helps people ‘with differences’ find employment and with their help, I got a position at Air Canada. I’ve been working there since 2017. I’ve also been a mentor at Action Main-d’œuvre Worktopia workshops, a program that helps people with autism get ready for the workforce. In my free time, I read a lot of manga and graphic novels. I also play video games on the computer with a friend. 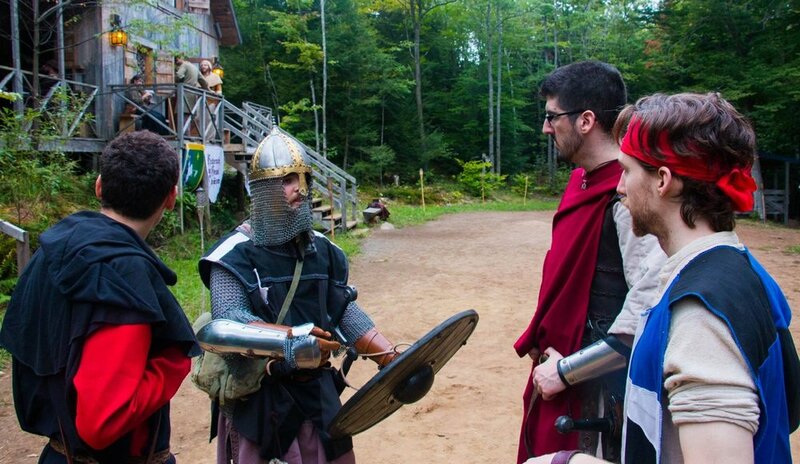 I like playing Dungeon and Dragon with a group of friends, and also enjoy live-action role playing (LARP). I enjoy going to the movies with my girlfriend. I like doing Cosplay at conventions. I also take medieval fencing lessons and have done Kendo in the past, a type of Japanese fencing. I love history and because I studied it in school, I’m quite knowledgeable in this field. I have a very good memory. I also love learning foreign language; I studied Spanish and German in CEGEP, and am learning some Russian at home. I strive to one day add Japanese to this listing since Japan fascinates me. I dream of going there one day! I have pervasive developmental disorder (mild Asperger syndrome), now called Autism Spectrum Disorder, with a mild attention deficit. During my school years, I’ve always received help, from grade school to CEGEP. I don’t have specific ambitions but I want to help others with brain-based disabilities or autism, in any way I can, and hope to learn from this team along the way also.